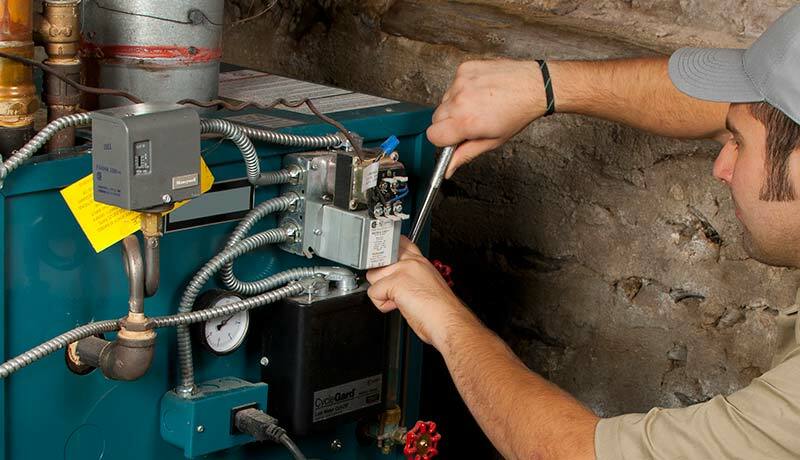 Keep your heating system running safely and efficiently with an annual tune-up from one of our expert technicians. A boiler or furnace that is maintained properly can reduce your annual energy costs by 10% each winter and can significantly extend the life of your equipment. Schedule your maintenance each year before the heating season begins so your equipment is ready for whatever the winter may bring! We are only just a call away 24 hours a day, seven days a week, 365 days a year for emergency service! This service is for all types of heating equipment in case of an emergency system malfunction or loss of heat. For service to your furnace, boiler, or water heater, please contact us and we will be happy to assist you.